We have a full staff of creative graphic design services and 3D rendering modeling design for clients all over Connecticut, CT. Need a graphic designer or 3D modeling rendering services? Capital Exhibits is here to offer you the best 3D rendering designers in CT and graphic design idea for your company regardless of your company size or industry. CE also provide Large Poster Printing for clients in CT. We service Bridgeport, New Haven, Hartford, Stamford, Waterbury, and their surrounding areas. Our team of professionals is here to help you increase your brand awareness by offering the best graphic art design services — all within your budget! Capital Exhibits has the experts and products to offer quality 3D rendering and print graphic design services for trade shows and day to day business alike. 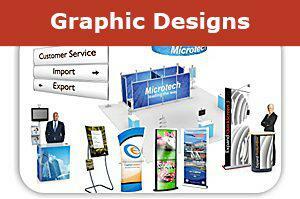 We have a wide variety of products for trade show displays like table top displays, kiosks, and banner displays. The 3D rendering designers in CT & banner design artists at Capital Exhibits can make unique 3D designs and logos to improve your success for a new product or at trade shows. To improve customer retention try small graphic design items like brochure design work, tee shirt design, and business cards. Check out our flyer design portfolio and see what our professional graphic designers are capable of creating for your company. We even offer rentals and package deals! To see a full listing of our products follow this link: . The 3D rendering and graphic design images & advertising services from Capital Exhibits will prove to be one of your best investments for your company. With the right logo and promotional products your customers can experience a streamlined view of your company’s brand. By investing in quality graphic design services and products within your specific price range you will see a noticeable ROI. For information about logo design prices, print design pricing, and all other graphic design quotes & rates just go to http://www.capitalexhibits.com/request2.htm. Choose Capital Exhibits for you graphic design needs. Our graphic art design services are one of the best in Connecticut and we can prove it to you! Our motto is “we build your best image” and we do that by offering innovative design, easy to assemble products, at a great price, and all with prompt delivery. 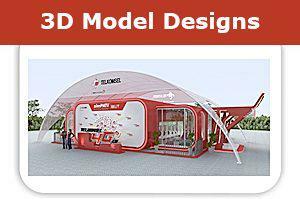 Visit our 3D design gallery and browse our products and customer testimonials. Once you’re ready to order give us a call at (866) 730-3746 or send us an email at sales @ capitalexhibits.com. We can’t wait to start building your best image, so let’s get started today!